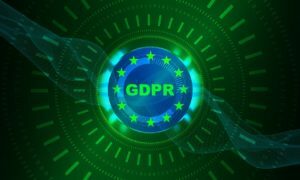 Over the next few months, my legal team will be following GDPR-related developments and constantly updating me, so I can provide you with updates about what we learn, and adapting our approach as needed. And I’ll continue to focus on GDPR compliance efforts, including coordinating our responses to data subject requests for information about how their data is being handled, evaluating the privacy impact of new products and services on our users’ personal data. I am also very aware there’s a bigger world out there than just the EU. So not only am I implementing GDPR-required measures to my global network to accommodate everybody, I am also evaluating and incorporating other jurisdictions’ data protection requirements as needed. This commitment to privacy is core to our mission to help build a better Internet. Have a privacy question or concern? You can reach me at info@thisisyourdream.com and please put PRIVACY in the subject line.